These pictures have been sent to us courtesy of Michael David Curley (@Curcurley) who assisted at the scene of the injured walker in Clowes Wood, Earlswood on Saturday. 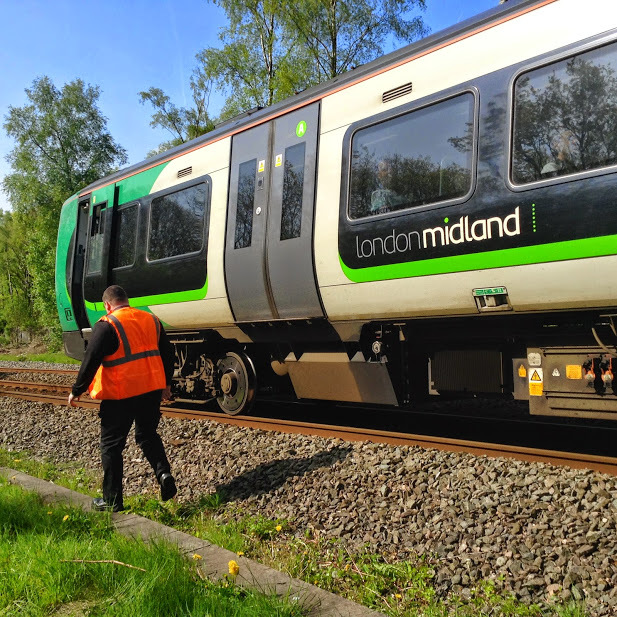 A West Midlands Ambulance Service paramedic treated a woman who had fallen near to a railway track for a fractured ankle. 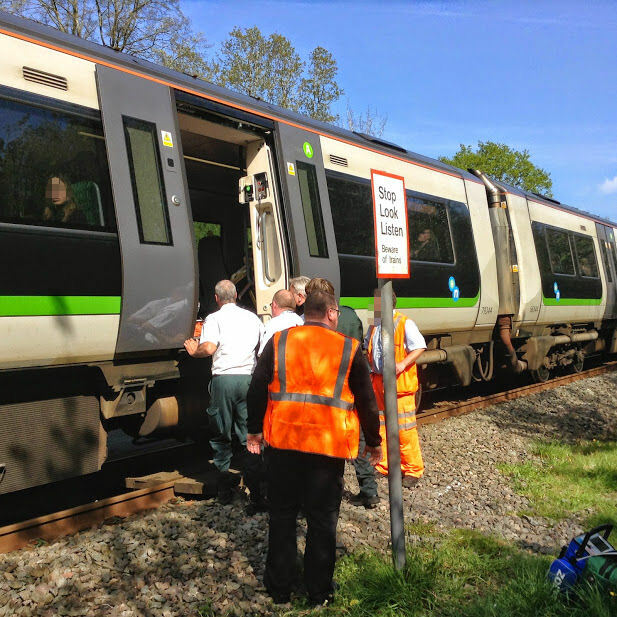 The paramedic worked with railway employees who kindly put plans into place for the next passing London Midland train to stop in the woods to make a special pick-up. An ambulance crew were on board the train to greet the woman, who was immobilised on a scoop stretcher. The woman and ambulance crew travelled to Earlswood Station to an awaiting ambulance where she was conveyed on to her next stop; Alexandra Hospital. Sunday 4th May 2014 – 3.45pm – Suzie Fothergill. A man has sadly died during an incident on the M40 today. 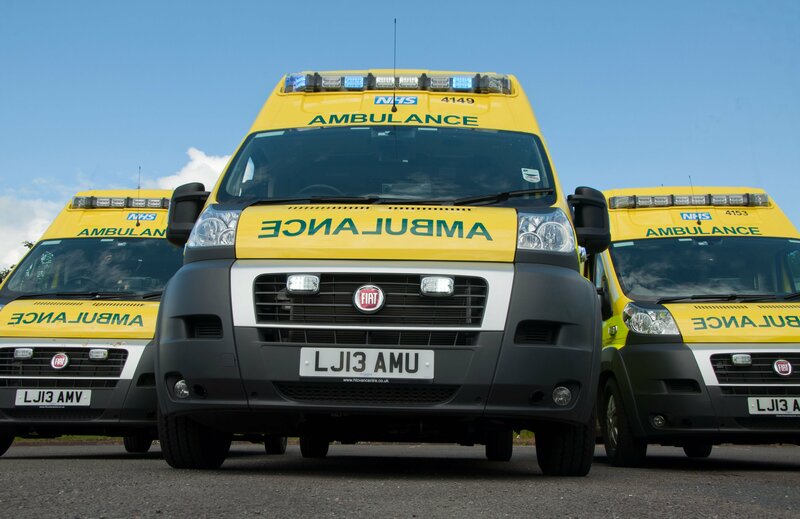 West Midlands Ambulance Service was called to a road traffic collision on the southbound carriageway of the motorway, near to junction 12, shortly before 10.25am this morning. Two ambulances, a paramedic area support officer and a BASICS doctor were dispatched to the scene. The police and the fire service were also in attendance. A West Midlands Ambulance Service spokeswoman said: “Crews arrived to find a car that had left the carriageway and had overturned in a ditch. “The car had been carrying three occupants at the time of the incident. The driver of the car, a man, was immediately assessed by ambulance crews but unfortunately it quickly became apparent that nothing could be done to save the man and he was confirmed deceased at the scene. “The front seat passenger, a man believed to be in his 30s, was trapped in the vehicle for a period of time. Ambulance crews worked closely with the fire service to safely extricate the man from the car. Fortunately on assessment the man appeared to have not sustained any obvious injuries. “The rear seat passenger, a girl believed to be approximately 7 years of age, was out of the vehicle on the crew’s arrival. She was assessed at the scene and was found to be uninjured. Saturday 3rd May 2014 – 9.30pm – Suzie Fothergill. 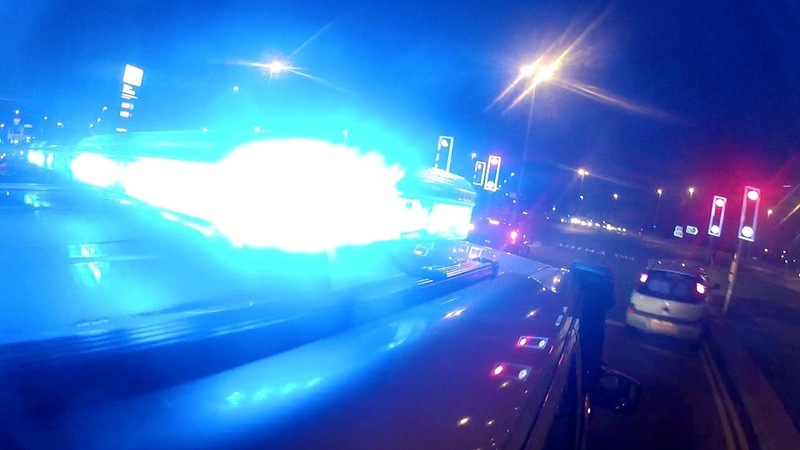 West Midlands Ambulance Service is appealing to all road users to look out for each other following a series of fatal and serious road traffic collisions involving motorcycles around the region today. Crews were called to Wolverhampton Street in Darlaston, Wednesbury shortly before 2.55pm this afternoon to reports of a car and motorcycle that had been in collision. A motorcyclist, a man in his 30’s, was treated for a pelvic injury and fractures to his leg and arm. He was given pain relief at the scene before being airlifted to Queen Elizabeth Hospital for further assessment and treatment. 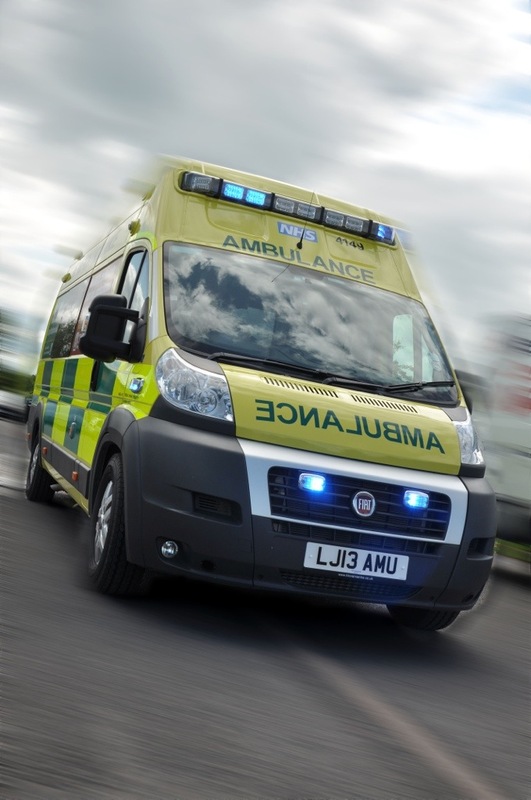 West Midlands Ambulance Service was later called to the Birmingham Road in Pathlow in Stratford Upon Avon at approximately 4.30pm to a motorcyclist who had reportedly fallen from his bike colliding with a car. An ambulance, a rapid response vehicle, a paramedic area support officer and the Warwickshire and Northamptonshire air ambulance attended the scene. Crews arrived to find the motorcyclist underneath the car. With the assistance of bystanders the man was freed and full resuscitation attempts were carried out. Unfortunately despite best efforts nothing could be done to save the man and sadly he was confirmed deceased at the scene. An ambulance, two rapid response vehicles and two Midlands Air Ambulances; one from Cosford and one from Strensham rushed to scene of another motorcycle incident on Monkland Road in Leominster at 5.05pm. 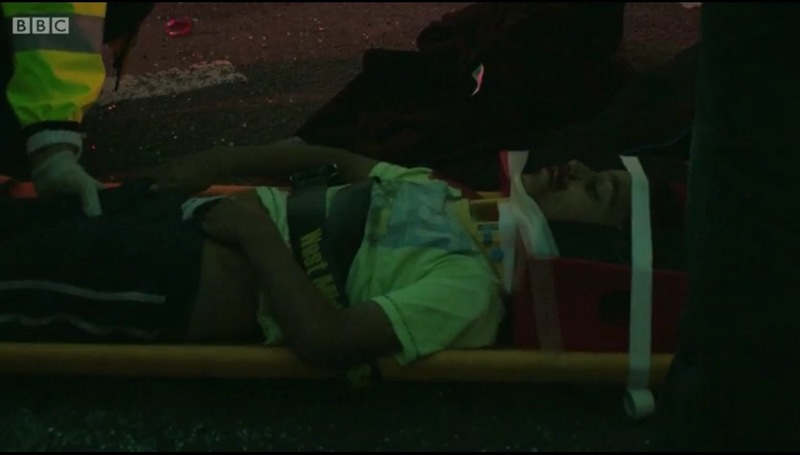 The motorcycle, which had been carrying two people, had been in collision with a car. The driver of the motorcycle, a man, was immediately assessed by ambulance crews but unfortunately it quickly became apparent that nothing could be done to save the man and he was confirmed deceased at the scene. The pillion, a woman, was found in an eight foot ditch which was not visible from the road. The woman was treated at the scene for significant injuries to her arm and lower leg. 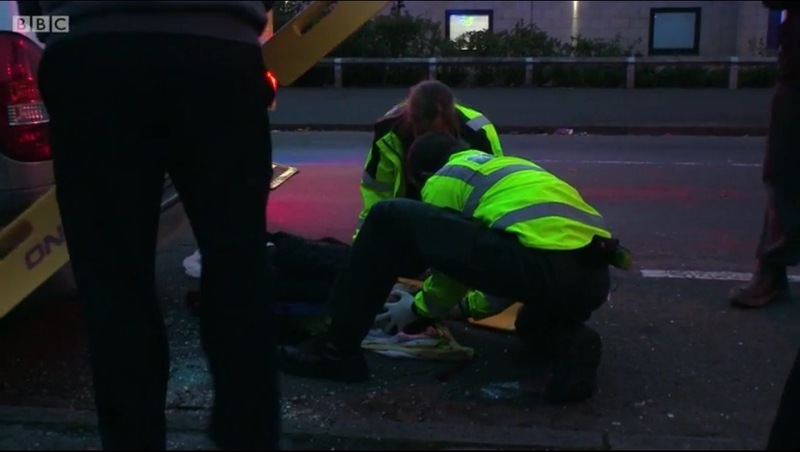 The woman was fully immobilised and given pain relief before being airlifted to the major trauma centre at Queen Elizabeth Hospital Birmingham for further assessment and specialist treatment. At approximately 5.15pm ambulance crews were called to the junction of Clare Avenue and Arnold Grove in Bradwell, Newcastle upon Lyme. An ambulance, a rapid response vehicle, a paramedic area support officer and a BASICS Doctor arrived to find a car and a motorcycle that had collided. Crews assessed the motorcyclist and immediately began full resuscitation attempts. Tragically, despite best efforts, nothing could be done to save the man and he was confirmed deceased at the scene. Saturday 3rd May 2014 – 8.15pm – Suzie Fothergill. 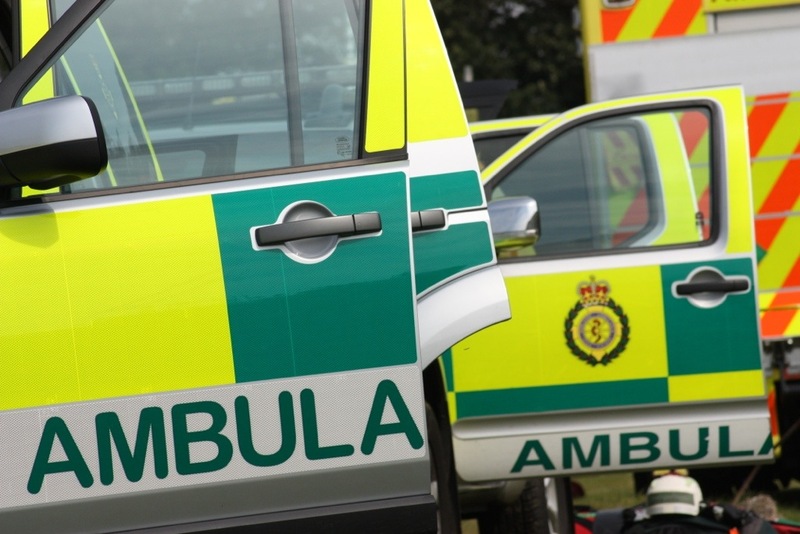 A man has sustained serious leg injuries during an incident in Worcestershire today. West Midlands Ambulance Service was called to Withybed Lane in Inkberrow at approximately 3.25pm this afternoon. An ambulance, a community first responder and the Midlands Air Ambulance from Strensham were dispatched to the scene. A West Midlands Ambulance Service spokeswoman said: “Crews were called to a man who had become injured after an industrial strimmer had reportedly exploded causing shrapnel from the machinery to penetrate through his leg. Saturday 3rd May 2014 – 7.00pm – Suzie Fothergill. A woman was rescued by ambulance crews after she became injured in Solihull today. West Midlands Ambulance Service dispatched a Paramedic in a rapid response vehicle to the incident in Earlswood at approximately 2.15pm this afternoon. A West Midlands Ambulance Service spokeswoman said: “Crews were called to reports of a woman who had become injured near to a railway track whilst out walking with a group of people in the woods. “On arrival at the scene, the paramedic had to walk for approximately 20 minutes into the woods before coming across the casualty. The woman was assessed and it was discovered that she had sustained a fractured ankle. “Due to the location of the incident and the rough terrain, the quick thinking paramedic liaised with the railway and plans were put into place for the next passing train to stop in the woods to make a special pick-up. Saturday 3rd May 2014 – 11.30am – Suzie Fothergill. Don’t forget to support our Paramedics as they embark on their a charity cycle ride spanning the length of the country. 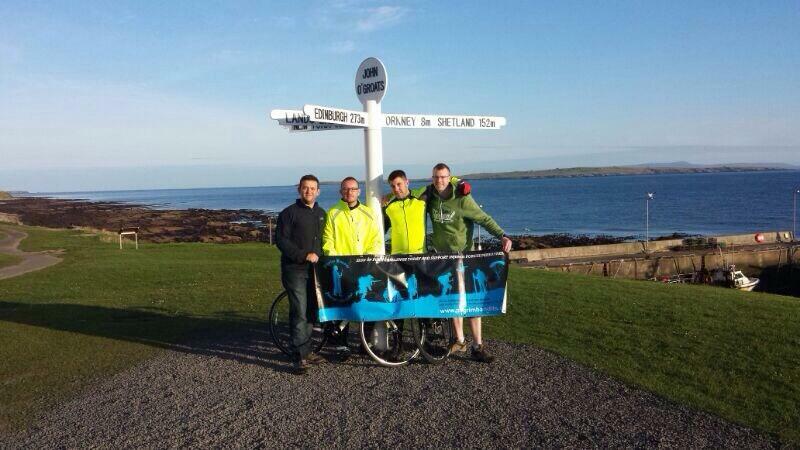 Hazardous Area Response Team (HART) paramedic Dave Bentley and Wolverhampton Paramedic Neil Weaver together with a support crew, HART paramedics Neil Baars and Olly Ayles, began there challenge of cycling from John O’Groats to Lands Ends today. Saturday 3rd May 2014 – 10.00am – Suzie Fothergill. 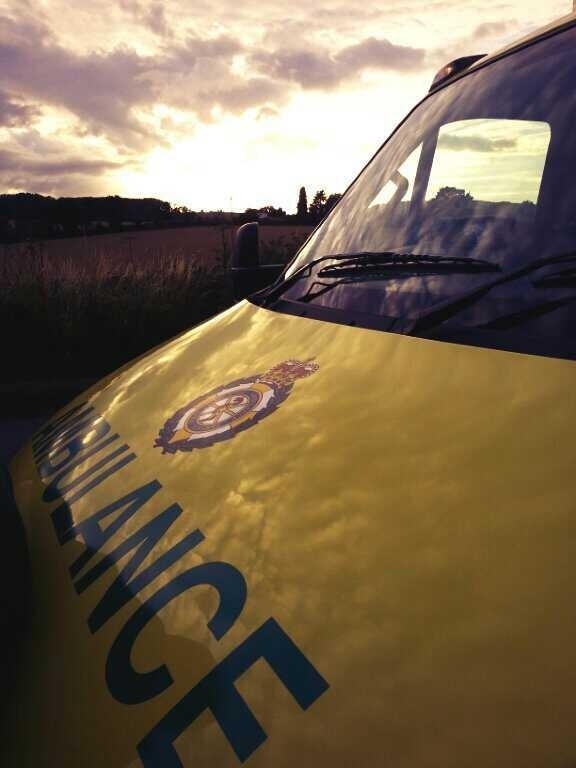 Three people have been taken to hospital following an incident in Warwickshire last night. West Midlands Ambulance Service dispatched two ambulances, a rapid response vehicle and a paramedic area support officer to the road traffic incident on Banbury Road in Pillerton Priors at approximately 9.50pm. A West Midlands Ambulance Service spokeswoman said: “Crews were called to a single vehicle road traffic collision. On arrival at the scene, crews found a car that was facing the wrong direction on the carriageway. “The driver, a man in his 20’s, was treated for a chest injury believed to have been caused by the seat belt. 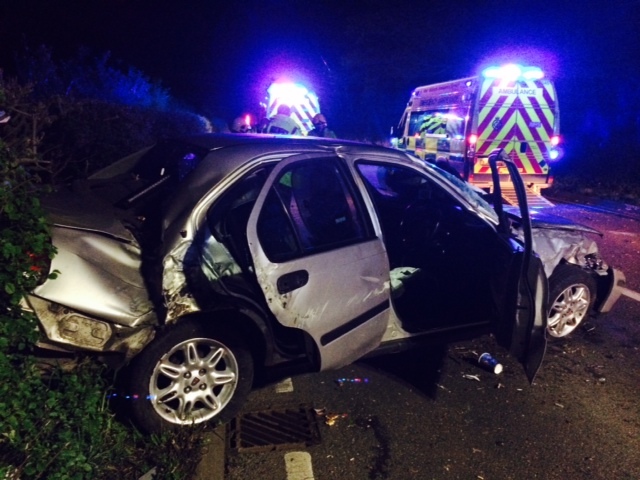 “The front seat passenger, a woman in her 20’s, had sustained neck, back and leg injuries. Due to the nature of her injuries the woman was fully immobilised and extricated from the vehicle, with the assistance of the fIre service. “A baby, who was restrained in a child seat in the rear of the vehicle, was assessed at the scene and fortunately had sustained no obvious injuries. Friday 2nd May 2014 – 12.10pm – Murray MacGregor. Ambulance bosses say the introduction of specific dementia training has had a hugely positive impact on the care that 999 staff are able to give patients. The comments come off the back of a Government announcement that all NHS staff are to receive such training within four years. Head of Education at West Midlands Ambulance Service, Julian Rhodes, said: “We noticed some years ago that the number of patients who were calling 999 with dementia was rising rapidly. “Two years ago, as part of our regular review of education, we started developing a course that over 2,000 of our frontline staff have now undertaken. “Given the vast majority of the patients we come into contact with are elderly, our staff have told us that the additional knowledge has proved invaluable for ensuring we are able to provide each individual with the right sort of care. “One of the key areas for our staff was the assessment and treatment of dementia patients who were in pain. Many simply didn’t tell our staff that they were in pain and due to their condition it was often difficult for the staff to diagnose the situation. “By delivering specific teaching around the clinical assessment of dementia patients, we are confident that our staff are picking up on these issues to a far higher level than before. “The feedback we have had from staff has also been very positive as they are now actively looking for the condition and are much more confident in identifying dementia and therefore giving the patient better treatment and care. “Our training programme includes looking at the different types of dementia, be it Alzheimers, Parkinsons, Vascular Dementia or a range of other conditions but also how it presents and signs to look out for. 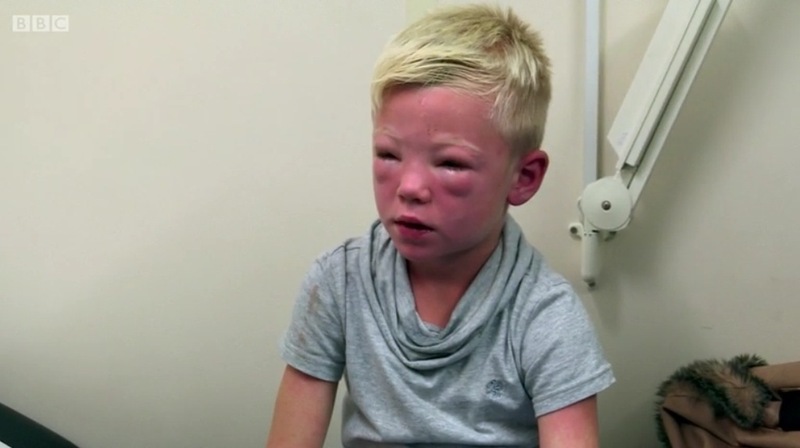 “Another key area is that we are able to ensure that the condition is noted, even if it is only a suspicion, and then further action can be taken when we hand the patient over to other sectors of the NHS or the family. 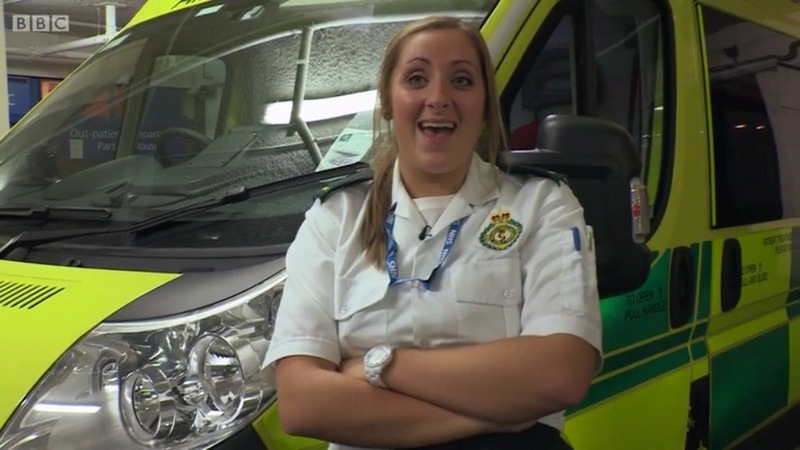 “There has been a lot of interest from other ambulance services in what we have been doing so we are confident that all services are taking action on this hugely important area of patient care. Friday 2nd May 2014 – 4pm – Steve Parry. 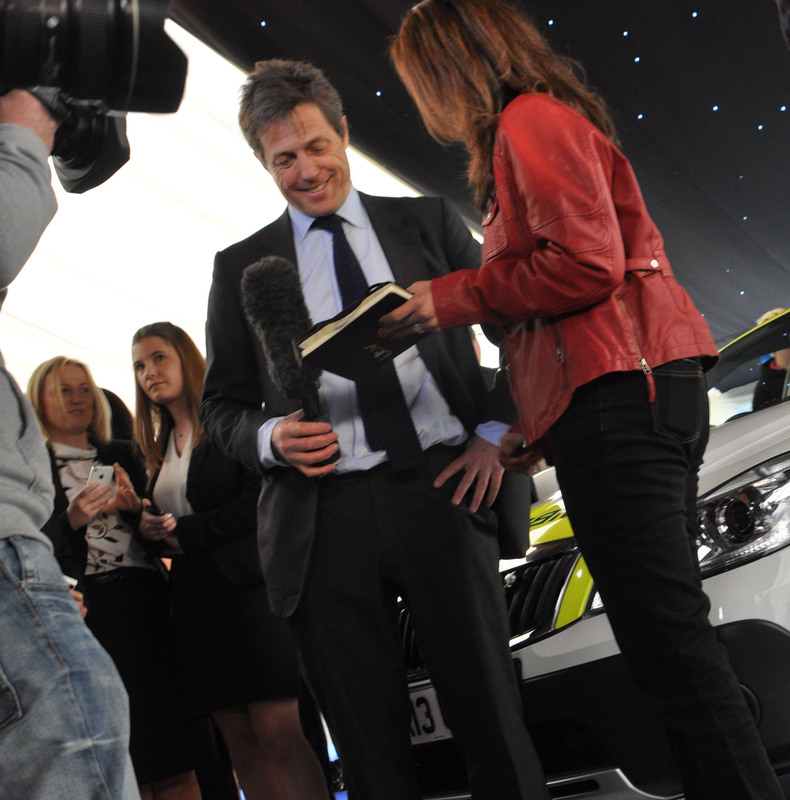 Award winning actor, Hugh Grant, today unveiled a volunteer lifesaving community car. Burntwood and District Community First Responders launched their new response vehicle at a showbiz ceremony which was held at Burntwood Rugby Club this afternoon. 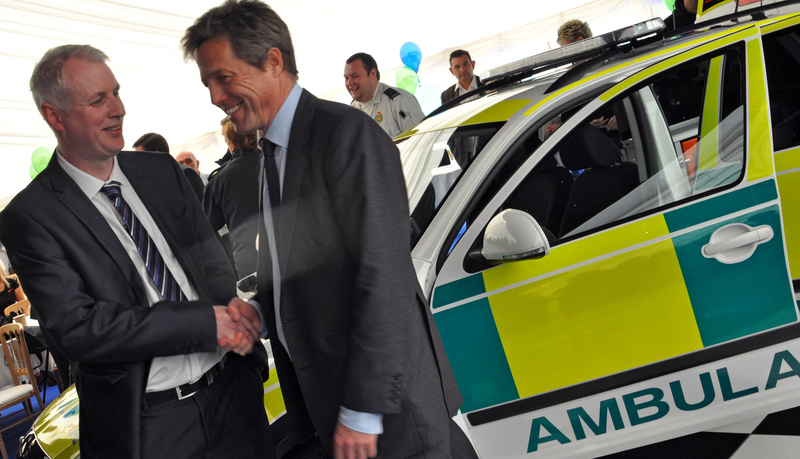 Hugh, the schemes ambassador, carried out the honour in front of a specially invited audience which included West Midlands Ambulance Service’s Chief Executive Officer, Anthony Marsh and Chairman, Sir Graham Meldrum alongside many of the business representatives who have helped to raise vital funds for the Charity. Community First Responders (CFRs) are groups of volunteers that respond to emergencies on behalf of West Midlands Ambulance Service, prior to the arrival of an ambulance. CFRs help reach people suffering from medical emergencies in more rural communities fast. 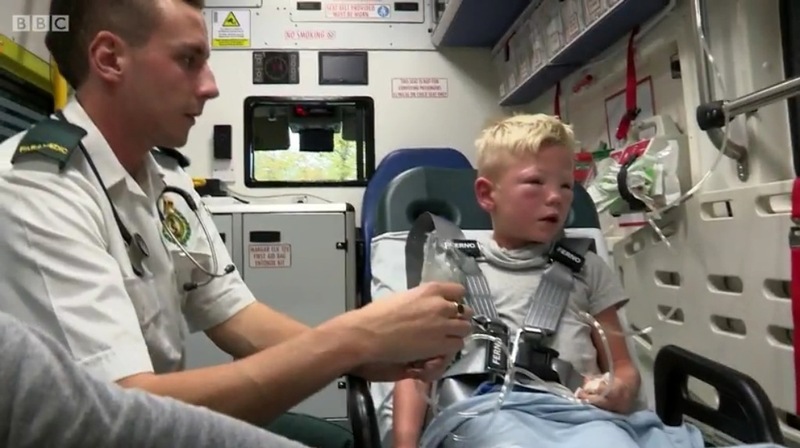 They are trained by the ambulance service to a nationally recognised level and maybe requested to attend to medical emergencies such as cardiac arrest, chest pain and breathing problems. The Burntwood and District CFR scheme was established in June 2013 and currently has five active responders with an additional three members undertaking training. The scheme has recently managed to raise approximately £25,000 which has been used to purchase a brand new ŠKODA Octavia Scout response vehicle. The money was partially made up of grants from the National Lottery and Staffordshire County Council alongside donations from the local community. The vehicle, which was purchased from Staffordshire-based Autosales Group, has been converted by VCS Limited to accommodate a whole host of lifesaving equipment as well as having green friendly, roof-mounted solar panels to assist charging the vehicle. Emma Wilkins, WMAS’ Head of Community Response said: “West Midlands Ambulance Service prides itself on having many excellent community schemes in place around the region.In many illnesses or injuries the first few minutes are critical and simple interventions can be performed in order to save lives or prevent disability. Therefore in remote areas CFRs really can make a difference to a patient’s outcome. Paul Dadge Burntwood & District CFR Chairman said “Replacing the car would not have been possible without the generous contributions from our local community, parish, county councils and businesses. Today is a thank you to all those who have helped us in the last few months”. Friday 2nd May 2014 – 8.30am – Suzie Fothergill. Six people have been treated by ambulance crews following a road traffic incident in Staffordshire. West Midlands Ambulance Service was called to the incident near to Westwood Golf Course, Newcastle Road in Leek shortly after 12:10am this morning. Four ambulances, a rapid response vehicle, a paramedic area support officer, a community first responder and two BASICS doctors were dispatched to the scene. A West Midlands Ambulance Service spokeswoman said: “Crews were called to reports of a single vehicle that had left the carriageway and had come to rest in the golf club car park. The car is believed to have overturned during the incident and had sustained significant damage. “Six occupants, all believed to be in their late teens – early twenties, had been travelling in the vehicle at the time of the incident. All six were out of the car on the crew’s arrival. “The driver, a man, had sustained facial and hand injuries during the incident and required further hospital treatment. 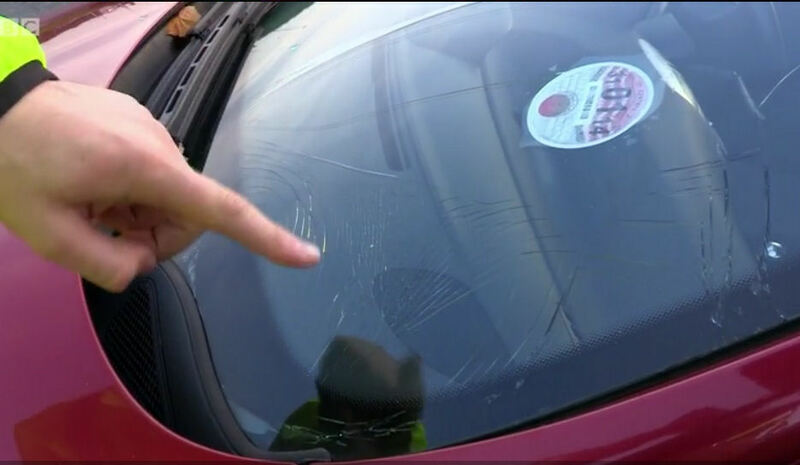 “The front seat passenger, a man, was treated for a back injury. He was fully immobilised at the scene before being conveyed to hospital. “Four passengers were travelling in the rear of the car. One woman had sustained serious head injuries. A second woman was treated for injuries to her legs and shoulder. A third passenger, a man, was treated for an isolated head injury. All three casualties were fully immobilsed before being conveyed to hospital. 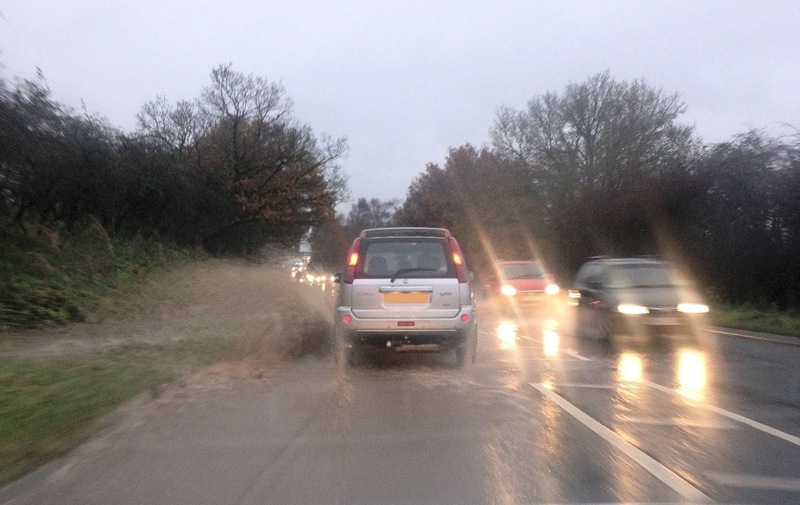 “The forth rear seat passenger, a man, was treated for minor injuries before going to hospital as a precaution. “All six casualties were taken to University Hospital of North Staffordshire for further assessment and treatment. 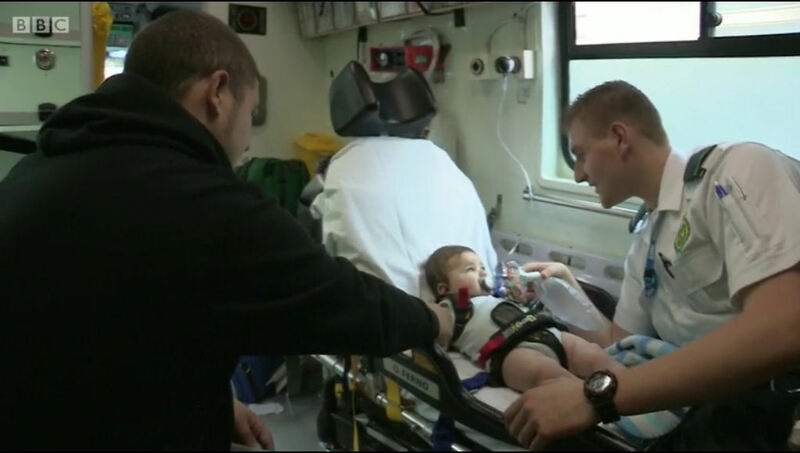 The hospital was pre-alerted with each of the patient’s conditions and medics were on standby awaiting their arrival. Thursday 1st May 2014 – 10.30pm – Suzie Fothergill. A woman has been airlifted to hospital following a horse riding incident in Shropshire today. West Midlands Ambulance Service was called reports of a woman who had fallen from a horse in Stottesdon at approximately 2.50pm this afternoon. A West Midlands Ambulance Service spokeswoman said: “On arrival at the scene crews found a woman who had become injured after falling from a horse. “The woman, believed to be in her 20’s, was treated for a suspected fractured pelvis and a back injury. 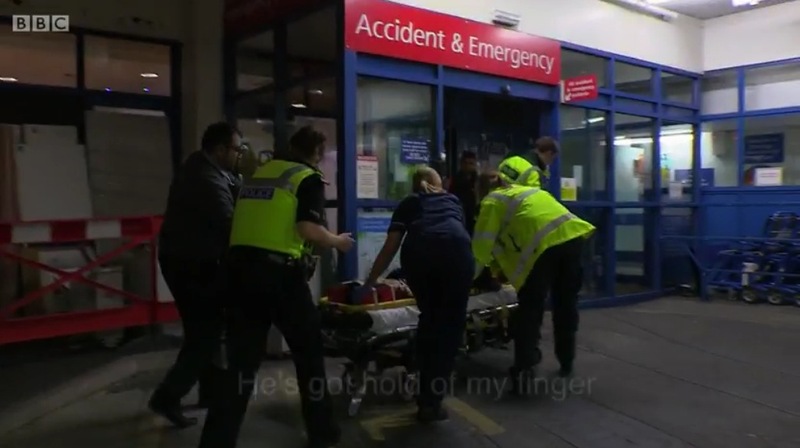 The woman was given pain relief and fully immobilised at the scene before being airlifted to the Major Trauma Centre at Queen Elizabeth Hospital Birmingham for further assessment and treatment. 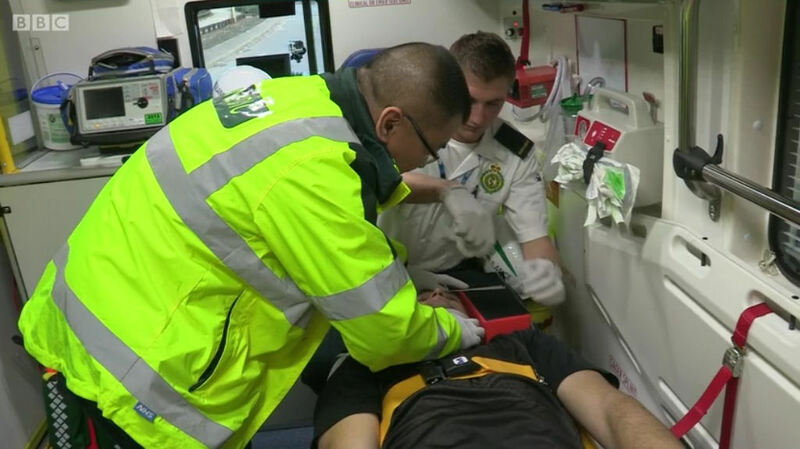 Did you catch ‘First Time On The Frontline’ this morning and see new paramedic Ben dealing with a couple of tough incidents. If not, you missed him and fellow rookie paramedic Sam having a bit of a contest during their physical check-up as part of their assessments. You’ll have to watch to see who came out on top. Thursday 1st May 2014 – 4.25pm – Suzie Fothergill. A man fell down to earth with a bump during an incident in the Black Country today. 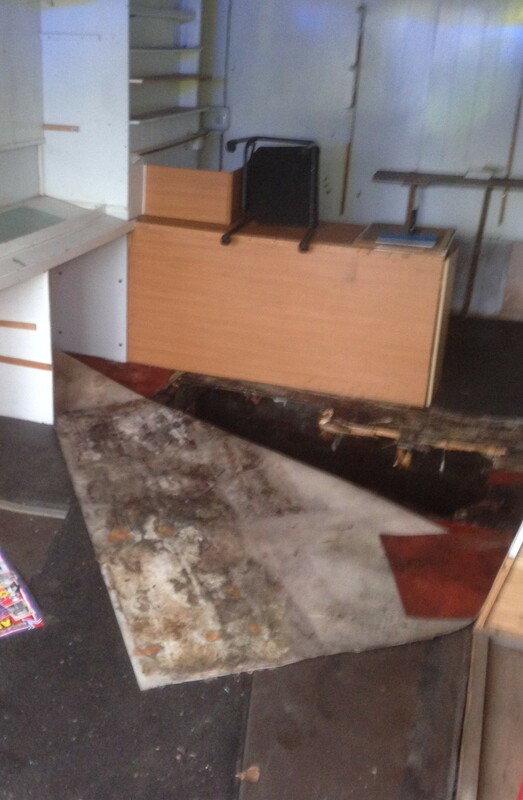 West Midlands Ambulance Service was called to reports of a man who had fallen through some floorboards in a disused shop on the Stourbridge Road in Lye shortly before 12.55pm this afternoon. A West Midlands Ambulance Service spokeswoman said: “Crews arrived to find a man who had fallen approximately six feet through the floor into the cellar below. Thursday 1st May 2014 – 4.10pm – Claire Brown. The actions of thieves in the Black Country is removing resources from frontline ambulance services. The criminals have stolen a 40ft stretch of electricity cable that powers an ambulance training centre. The centre, located in Sedgley, has been without power since Monday morning. 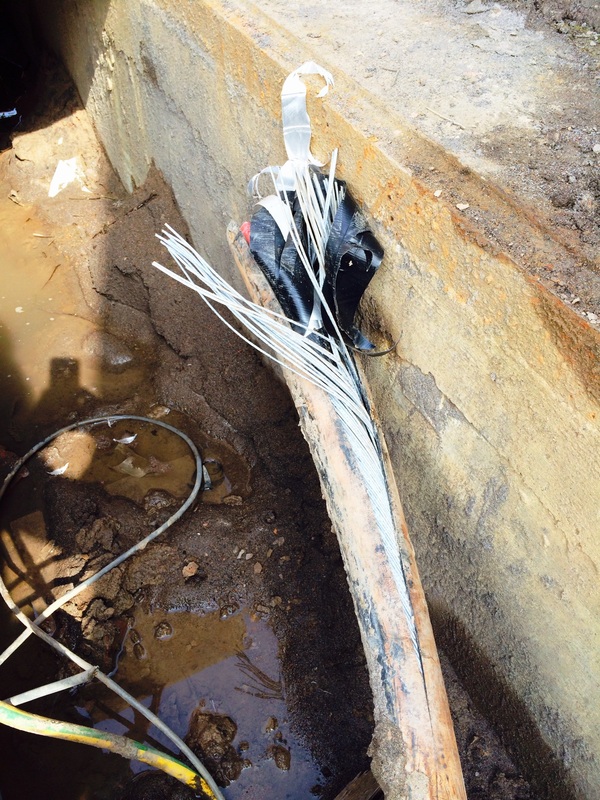 Training staff discovered that the thieves had broken into the nearby sub-station, which carries 11,000 volt cables, before digging up a 40ft stretch of electricity cable from the ground and stripping it of its inner copper wiring. The Trust has had to spend unnecessary funds to find alternative venues for all of the vital training courses for operational ambulance staff taking place this week. In addition it’s had to organise emergency generators and additional security for the building. The cost of which runs into thousands of pounds; money that could have been used to resource more front line ambulances to respond to 999 calls. Julian Rhodes, the Trusts Head of Training, said: “We are hugely disappointed that someone has caused this unnecessary problem to a service which is here to help the public in their hour of need. Whilst operational staff are not based here, we train literally hundreds of operational staff every week on new methods to improve patient care. Notes to Editors: The first photograph shows the trench, containing the electricity cable, which has been dug out. 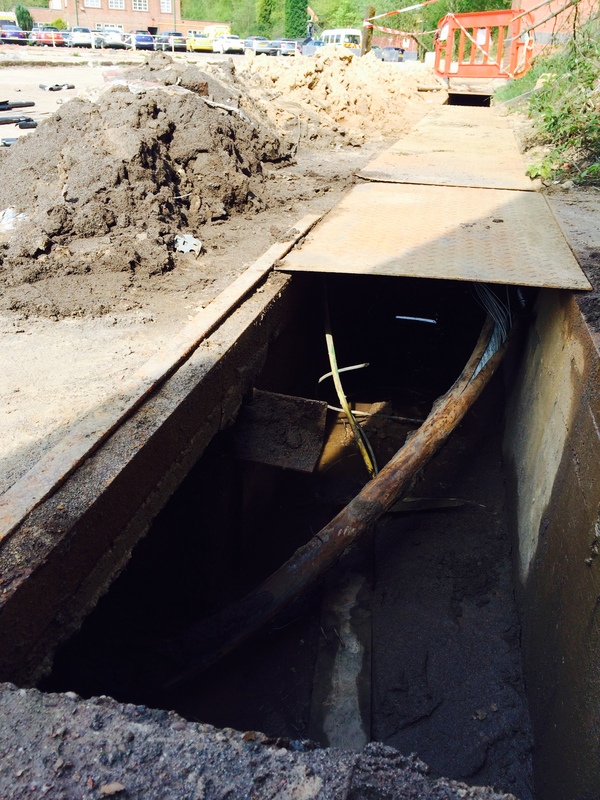 The second photograph shows the remains of the cable after the thieves had removed a 40ft stretch. West Midlands Ambulance Service is offering members of the public the opportunity to have their say at its forthcoming Equality ‘Grading Event’ on Thursday 15th May. The event will take place at the Midlands Arts Centre (MAC), Cannon Hill Park in Birmingham from 9.30am – 4.30pm. The purpose of the public event is to provide an opportunity for patients and community members to share honestly and openly their views and personal experiences of equality and diversity issues in their local ambulance service. The event was very successful last year attracting a great deal of interest with all protected groups being represented. The Trust will also invite local stakeholders and interested groups to be part of this important piece of work. To reserve a place at the event, please contact: sofia.jabeen@wmas.nhs.uk by Tuesday 22nd April.